Dr. Samuel Sandweiss, an eminent Psychiatrist from California, USA, is one of the early devotees from America, who first visited Bhagavan Baba in the early seventies and immediately recognised His divinity. Thereafter, he penned the famous book “Sai Baba: The Holy Man and Psychiatrist” which has been an instrument to draw many devotees, especially from the West, to the Divine. 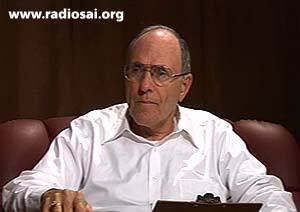 His recent book “With Love Man is God” is also an enlightening volume and is widely read. 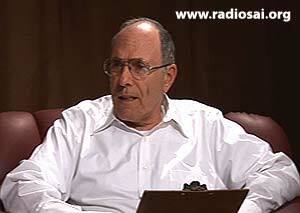 Dr. Sandweiss has visited the Radio Sai studio on many occasions. 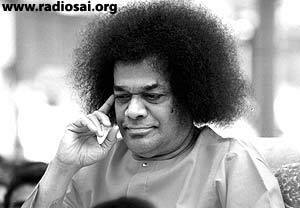 Continuing from the previous issue we present the second and final part of extracts from a conversation that Prof. G. Venkataraman, the former Vice Chancellor of Sri Sathya Sai University, had with him in June 2002. Prof. G. Venkataraman (GV): Can you comment on how Swami’s directive for all His devotees “Love All Serve All” has influenced your professional work as a psychotherapist? Samuel Sandweiss (SS): Well, it’s not a method; it’s a way of living. First, good communication then comes understanding, and then adjustment. Our communication must be heart to heart - simple, caring, and genuine. Communication is very healing when we share it in an innocent and pure manner, free of superficiality. Therapists may deal with post-traumatic stress exploring the experience that you would have had at the time of the injury and try to desensitize the feelings. They may try to encourage a person to be a little more occupied in their activities and learn how to reduce stress. Some of these stress reduction techniques are very similar to Swami’s teachings such as regulating the breath and our thoughts. GV: But Swami’s teachings put all these techniques into a proper framework and perspective. Swami teaches about, “reflection, reaction, resound,” which means that all we see in the outer world is only a projection of our own inner self. Psychotherapists understand this teaching as they see that patients project onto them feelings that belong to other relationships. This projection is called transference. SS: Swami teaches about, “reflection, reaction, resound,” which means that all we see in the outer world is only a projection of our own inner self. Psychotherapists understand this teaching as they see that patients project onto them feelings that belong to other relationships. This projection is called transference. For instance, a patient who had an abusive father might feel that the therapist is his abusive father and be fearful of the therapist when there is no apparent danger. The therapist’s role is to help the patient detach from this transference, this projection, and see the therapist for who he/she truly is. Frequently, the way the therapist teaches the patient to detach from a painful inner conflict is by being detached in the relationship that is, by being caring and real, and not by reacting to the patient’s projection. For instance, if the patient on the surface seems happy with the therapist, but has hidden angry feeling toward the therapist who is seen as the abusive father, then the therapist feels the hidden anger. If the therapist is not aware of the projection, he might respond to the fear and anger by being angry in return. Being detached means that the therapist recognizes the projection from the patient, and does not react to it by responding in anger. The patient expects the therapist to be angry and abusive like the father, but when the therapist is detached and remains caring and receptive, even when feeling the transference of the patient, the patient begins to learn that the therapist is not his abusive father. To do this, the therapist must know how to detach from feelings, which is basically a spiritual technique. Spiritual practice is a way of gaining mastery of our mind, which is attracted to the outer world of objects and ego gratifications. Swami teaches us sense control, ceiling on desires, not blaming others, looking within for our own faults, and non-attachment to the fruits of our actions. We practice looking for Swami in the outer world and recognizing that He is the doer. These practices teach us to not be so reactive to the outer world, but rather to see all as God and practice loving Him through service to others. This lifestyle teaches detachment and love, which are core ingredients of a good therapist. GV: So, would you say that Swami has also helped you professionally? SS: Yes, completely. 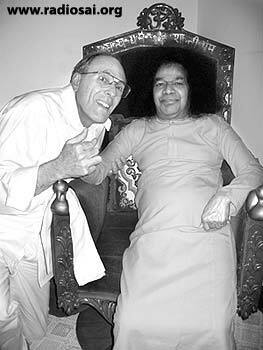 Whatever I have learned in psychiatry is by practicing Swami’s teachings; He gives us everything. GV: Let me ask you something else that relates not to individuals, but to the society as a whole. This is a problem that is rather important, especially after the so called September 11 incident. Generally speaking, I find it a bit strange. You know, the West is so advanced technologically, intellectually, scientifically, and the people there are very brilliant. They have so many accomplishments behind them. Yet, some things that they do seem to be contradictory. In fact, you wonder, how could intelligent people do that? Let me give you one simple example. Today, there is a lot of emphasis on building up the economy through over consumption and consumerism with no ceiling. However, this is very dangerous to the health of planet Earth. This danger is obvious. Yet, why do intelligent people shut their eyes to the obvious? This goes on everywhere, whether it is scientific research, political planning, military policy making, finance, or any other field. All these people are brilliant, but they wear blinkers. Why is that? SS: Well, Swami’s teachings on this are simple. Man is divine himself. He is pure love. But we don’t know that and the key is the mind. If we turn our mind to divinity, it is a way of opening us to freedom, and if we turn the mind to the world, it locks us. The mind is very powerful. So if we turn our mind to the world, we are in a dungeon, we are locked in an inescapable jail, filled with desire and greed. And all the enemies – lust, anger, pride, greed, hatred, and attachment roam there as the gods of this worldly life. As soon as you feel that it is desire and attachment to outside objects that brings gratification, you start chasing that, and there is no end to it. GV : So desire is the blind spot. SS : Well, it is a false understanding - the thought that outside objects bring gratification. You know there is just a simple psychological experiment that shows gratification isn’t from outside objects. All you have to do is to hypnotize somebody who wants a nice new car while they are sitting in a shabby old chair. You tell them that they are in a nice new car and they are very happy. So where is the happiness? Is that from the object? It’s all from inside. So the question is how to find happiness inside, not how to accumulate a lot of goods. But that simple understanding is lacking in the Kali Yuga (the present age). We believe that the object outside is what brings us gratification. 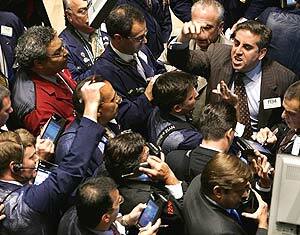 Therefore, you see these people on Wall Street or in the stock market with no end to their greed. 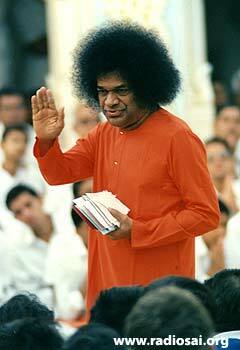 Swami has told us that the fulfillment of desire breeds further desire. It’s as simple as that. Unfulfilled desire leads to further birth, but at the same time, you cannot just tear yourself away; you cannot suppress and repress everything and just be a robot. However, the trick is to offer everything to divinity. Now that is a very deep and vast subject. How do you do this? How do you release yourself to divinity? This is a very important area to understand, but the first part of it is to realize that the fulfillment of desire leads to further desires. The mind is very strong and it binds itself to the outside world. Once you turn yourself into the world and keep following the selfish accumulation of objects, under the false belief that gratification of desires brings happiness, you enter hell. This is a false idea and it is very hard for people to give that up. As a psychiatrist, one of the things that fascinate me is to challenge this attachment to external things. At first it looks simple. You know, Swami challenges you by first helping you get over inconvenience and discomfort. He sees if you can take the car ride to come to Prashanti or can endure the plane ride. He checks to see how strong your attachment to physical comfort is. And so, you have to have some discipline to do this, and it isn’t an easy challenge. The mind just wants to be satisfied all the time. Then, you try to take yourself away from your sensual desires. “I am not going to eat as much”, “I am not going to watch as much TV”, and so on. Now, these are simple ones, but who has control? In the West, people gorge themselves and watch television like crazy. So then, you go a little bit deeper and look at the false thinking that you are your name, or your form, or fame, or fortune, or family, or friends, or power, or position, and all that. Well, if somebody loses even one of those, say, their position, or money, it strikes him/her with terror, absolute terror! So, going even deeper is to see that all this is transient and that everything in the external world is passing like a cloud. It’s all a game. To really see this brings on what I consider a very deep primal fear, which I called ‘mortal fear’. I see that everything is transient and passing. 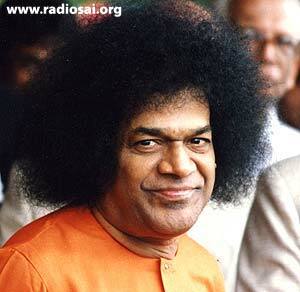 Swami has told me many times that “Everything is nothing. Nothing is everything” Well, to experience the nothingness in the external world, all of which you desire is ‘nothing’. To actually feel that nothingness is profoundly frightening. When we are aware of the impermanence of the outer world and that “everything (all objects that come and go) is nothing,” we become afraid. The only solution is Swami’s love, which applies balm and sooths. Love is the most powerful force in existence and is the cure for anxiety, depression, and fear. We find this love in our relationship with Swami, by holding onto His sacred robe. GV: So, we hope more people will come and hold on to His robe. SS: Well, without this, the world will destroy itself. As we are locked now in a level of terror and destruction, I can’t see how any of us can get out of by our worldly thoughts, our human thoughts. GV: Sometimes Swami does things that we don’t even dream of. Take the case of Russia for example, if you know. I remember how it was in the 60's and 70's - we feared a nuclear holocaust all the time. Then all of a sudden things have changed and today we see so many Russians here in Prasanthi coming morning and evening for darshan! There are more Russians here now than ever before. Ten years ago I wonder whether you ever saw a Russian. SS: I never saw one. GV: So, maybe something has happened. Talking of Russia, you have been to Russia several times, so why don’t you tell us something about what you saw. SS: I first went to Russia in 1988. GV : Was that still the Communist period? SS : No, I think Perestroika (economic reforms) was going on and the people were opening up. What happened was that I was here at Brindavan and somebody gave me the Russian translation of my first book ‘The Holy Man and the Psychiatrist’. So I brought it to Swami and said ‘Swami, can I go to Russia and find a printer for this?’ I didn’t know anybody in Russia or anything about finding a publisher. I was innocent and just believed that Swami would lead me. It was just like I need to go through my own karma. And I was stupid enough to believe that I could improve on Swami at that point. This is what I mean by saying that He was teaching me something. And I said, “Well, when should I go?” He said, “Why wait?” So He was just speeding me along. I didn’t know anybody, let alone a publisher, in Russia. How was I going to go there? But my first two phone calls trying to make contact were just flubbed terribly; it was a terrible nothing. And then the third one - I hit upon somebody who was trying to develop a relationship with Russia and who had been there many times; it was one of those unusual Sai-coincidences. And so, I was soon in Russia. Well, at that time I wondered how in the world Swami’s devotees would develop in this country, because they didn’t know what this book meant at all. I wondered, how would it happen? It would be a miracle in a country which was very poor and in so much trouble. Would I ever be able to sit in a group and hear “A-U-M” “Ganesha charanam…” Would I ever be in a situation like that? Could it ever happen? I don’t know how the Master does it. GV: He sure does it though! SS: He does it! And He never lets out how He does it, but we all know that it’s Him. GV: And next time you went you saw something totally out of this world? SS: Well, then, the next time is when the Russians invited my wife and I to be speakers at a conference. GV: Which year was that? SS: This was three years ago. They met us at the airport, took care of us, sang to us, and were very loving. We spoke everyday at a different devotee’s home. The homes were clean and smelled incense and it was so beautiful to see Swami’s influence, to see His teaching about being good, clean, and honest being put into practice. Then, we took part in their large conference in Moscow. In the early morning, sitting on this old tattered wooden floor with about 300 Russians, I chanted ‘AUM’. Tears welled up my eyes, because all of a sudden I saw so many brothers and sisters chanting AUM together in front of Swami’s picture. GV: Can you tell us how it happened because, as you know, in America there was Hislop and in Australia there was Murphet. How did it happen in Russia? SS : I just don’t know! I don’t know how all of a sudden it happened. GV : But it’s happened! SS: Yes, it happened! And to be sitting there with brothers and sisters hearing the same bhajan, the same AUM, the same love and respect for His teaching was just breathtaking. How did it take seed and how did it develop like that? It’s a miracle! GV: You know I’ve once seen a group of devotees who were wearing a scarf with the name ‘Siberia’ on it. So Swami has gone all the way to Siberia… and people also come from Kazakhstan. SS: Well, it is S-A-I-beria. GV : That’s a good one! I’ve never heard that before. I think it has become that way now and I believe there are big centers in Leningrad and St. Petersburg. SS : Yes, that’s where I was. GV : And Ukraine too. SS : Ukraine? Well, there were devotees from all over Eastern Europe, Siberia, and places I’ve never even heard of at the conference at Moscow. They would have traveled for days and days, often from poor backgrounds, just to get to the place and to be with Sai devotees; it was hard work for them. GV : And don’t you think that is the real power of Love? SS: Who can do that? Who can put you in the biggest mystery? And it’s always vital and exciting, and there’s always something happening – to stir us and to excite us. He’s just full of drama; you don’t know what is going to happen next. GV: You know, I agree with you. You go to a strange country and suddenly you hear familiar bhajans and you feel you are at home. You don’t feel you are in a different place at all! It’s so wonderful. SS : And to sense that we are witnessing an international movement with a universal language of love that’s understood in all the languages and by all traditions and that it transcends all socio-economic barriers, political borders, and religious boundaries. It is truly remarkable. SS : Yes. Especially with people that you never thought you’d have anything to do with. Even in your center! The person you dislike the most, you know you never have anything to do with him or her normally; you marvel at how you could be brought together and even try to learn how to get along with each other. What marvelous love is bringing us into this experiment! GV : I heard Bob Bozzani saying once how wonderful it is to be able to see it happen right before our eyes. SS : Oh, it is so. What grace it’s been for us! GV : I would like to thank you very much at this point of time for sharing so many of your thoughts with us. This is not the first and only time you are going to be here. You are going to be here again because there are so many things I would like to talk to you about. SS : Sure, thank you very much. It has been a pleasure. Sai Ram! Dear Reader, did you find this article informing and inspiring? 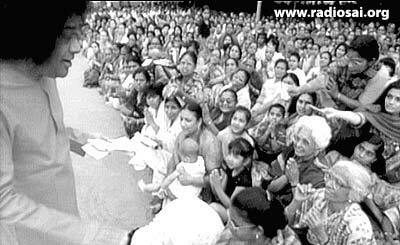 Would you like more such interviews with Sai devotees? Please share your thoughts with us at [email protected] mentioning your name and country. Thank you for your time.